The Arctic is becoming an arena for a fierce competition to control transportation routes & natural resources of global importance. The upcoming Trident Juncture exercise is NATO’s attempt to demonstrate dominance in the region. NATO says that Russia has nothing to worry about, because the exercise – which will be held in Norway and Iceland between October 25 and November 23 – “doesn’t target” it. But during Trident Juncture the forces will model the situation when Article 5 (Collective Defense) of the NATO treaty is invoked, as a potential enemy is threatening one of the member states. “We have to ask ourselves then, who could potentially threaten NATO in the North-West,” says Lieutenant General Valery Zaparenko, a former deputy chief of Russia’s General Staff. In his view, there is no other state, besides Russia, that could be this kind of a hypothetical threat to the alliance. “So all this talk from NATO about Russia not being the target of Trident Juncture doesn’t hold water,” the general adds. The upcoming exercise will be the largest of its kind since 1991. It will involve 50,000 troops, 150 aircraft, 60 vessels and over 10,000 vehicles. The interesting aspect of this training is that NATO will practice strategic relocation elements, meaning that the forces will be arriving from different parts of Europe and North America. Another goal is to test different elements of deploying top-priority strategic reserves. They will also focus on improving logistical support. “Even if NATO says otherwise, Trident Juncture is really preparation for a large-scale armed conflict in regions bordering with the Russian Federation,” General Zaparenko says. As for the competition to control the Arctic, it is quickly spiraling, and NATO’s Trident Juncture confirms this fact. It now involves not just the Arctic countries, such the US, Canada, Norway, and Denmark, but also China, for example. Polar exploration is no longer a purely scientific agenda. 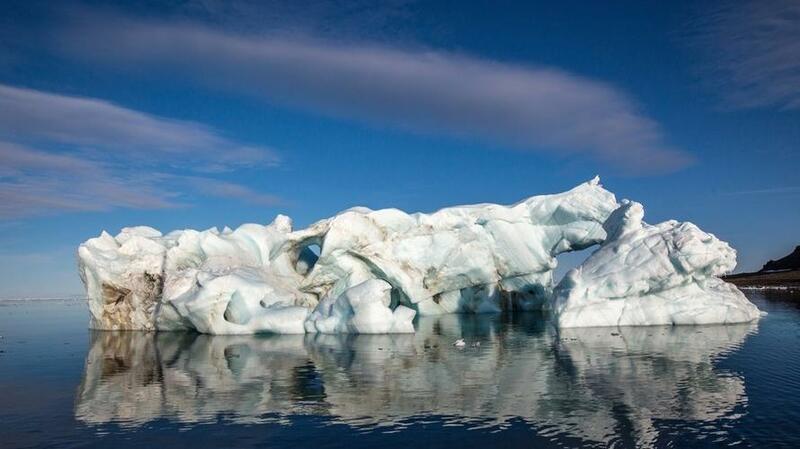 It is now an economic issue which led to a fierce political debate between the Arctic states. “We have to ask: why leaders of many countries now see it as their top priority to explore territories that they didn’t use to care about? The answer is simple – the Arctic could potentially hold up to a quarter of global oil and gas reserves,” Konstantin Makienko, Vice President of the Center for Analysis of Strategies and Technologies, explains. According to Makienko, over 20 large oil and gas fields have been discovered in the Arctic at this point. Ten of them have been proven potentially profitable. Russia’s Ministry of Natural Resources and Environment estimates that 15.5 billion tons of oil and 84.5 trillion cubic meters of natural gas are concentrated on 6.2 million square kilometers. The Shtokman field is the most well-known field located in the Russian sector of the Barents Sea. “So these territorial disputes in the Arctic are extremely important,” Makienko concludes. Another important resource that the Arctic could potentially offer is transportation lines, Makienko reminds. Because of the melting ice in the Arctic Ocean, more and more cargo is being shipped via the Northeast Passage (NEP), with the volume increasing rapidly every year. Lloyd's Register predicts that in 2021, 15 million tons of cargo will be transported via the NEP. “Add to that number another 25 million tons of Russia’s oil and gas that will be exported in larger volumes through the Northern seas. Russia predicts that in 2030, it will ship 50 million tons of cargo via the NEP annually,” Makienko says. In his opinion, the reason behind this sudden interest in the NEP is quite obvious. The route from China to Western Europe via the Northeast Passage is 8.1 thousand nautical miles. The Suez Canal route is 2.4 thousand miles longer. If you go around Africa, that adds another 4,000 miles to the trip. With the increasing cargo traffic between Europe and East Asia, using the NEP will be much more profitable – about one million dollars for one trip of a large container ship. The 1982 UN Convention on the Law of the Sea allows Russia to regulate the NEP traffic to some extent. “It is our advantage that we need to retain and support with everything we have,” emphasizes Makienko. The situation in the Arctic is complicated, because international law has serious gaps when it comes to this region. “Protecting Russia’s interests in the Arctic region and its dynamic development remain a top priority for the Armed Forces,” Russia’s Defense Minister Sergey Shoigu stated at the Russian Defense Ministry Board meeting that took place on August 31. He said that the Arctic has become an area where several countries try to stake their territorial, economic, and strategic claims. This could potentially lead to an escalating conflict in the region. “Currently there are icebreakers from South Korea, Sweden, Germany, USA, and China, not just Russia, in the northern seas,” the minister said. He added that the Defense Ministry continues to implement its comprehensive 2020 plan to expand the capabilities of the Arctic forces, so that existing and potential threats could be successfully countered. This year the Ilya Muromets icebreaker joined the Northern Fleet, as well as the Elbrus towing vessel, the Admiral Flota Sovetskogo Soyuza Gorshkov frigate, and an Ivan Gren-class landing ship. By the end of 2018, the Northern Fleet will get 416 units of equipment and military hardware, including five combat ships and motor boats, five service vessels, fifteen aircraft, as well as sixty two radars and anti-aircraft systems. In the last five years Russia has finished building the following military bases in the Arctic: Temp (Kotelny Island of the New Siberian Islands), Nagurskoye (Alexandra Land, Franz Josef Land), the Radio-Technical Troops and air detection centers (Alexandra Land, Wrangel Island, Cape Schmidt). Some 425 buildings and other structures have been built on over 700,000 square meters. An Arctic airfield is being constructed on the Franz Josef Land archipelago. This will allow Russia to secure and protect its interests in the Arctic regions of the Russian Federation and neutralize all threats: from the air, sea, and land. “We don’t doubt that NATO will not change the objectives of the Arctic exercises in the near future. They will conduct training operations like Trident Juncture more often and move further north,” Makienko says. He thinks that the fight for the Arctic is only starting.